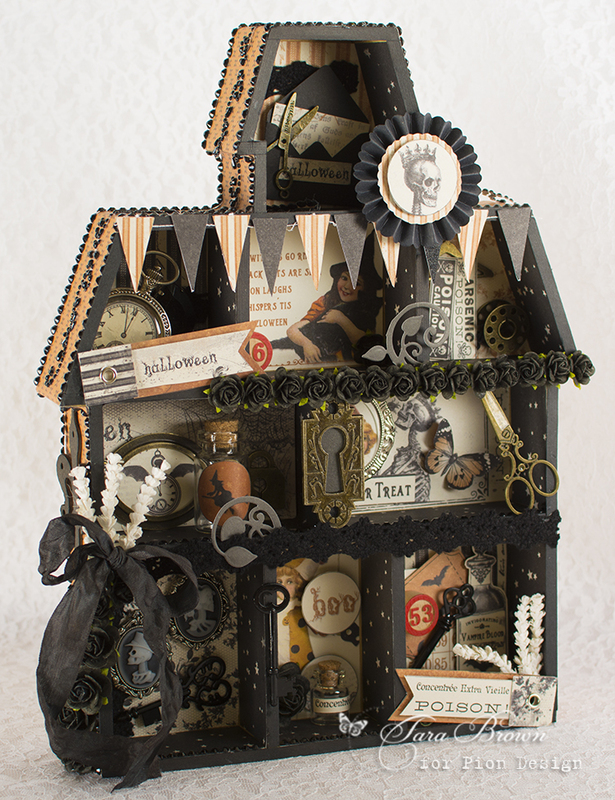 I covered this chipboard haunted house shadowbox with the orange and black papers from The Witching Hour. Lots of images from the collection were cut out for this fun project. This fantastic collection gives endless options for projects!